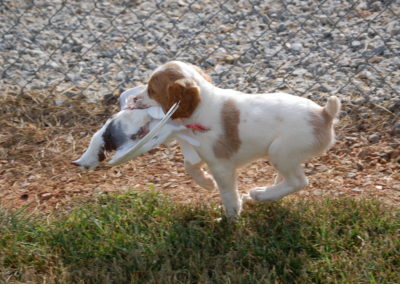 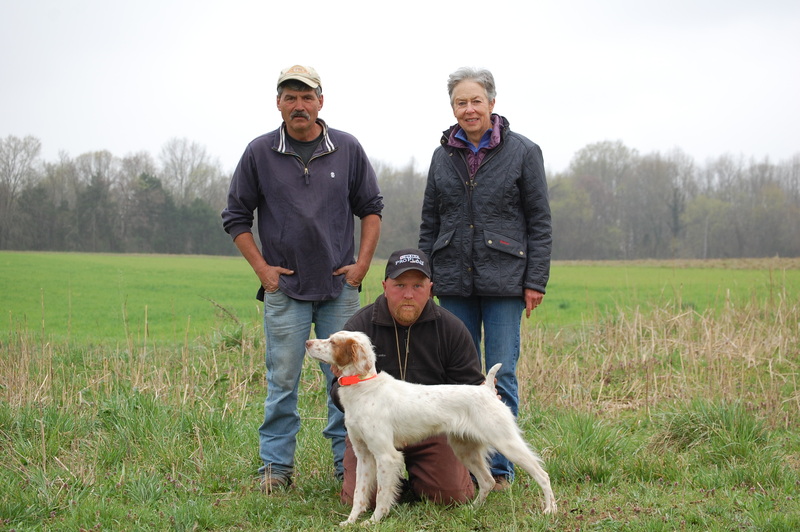 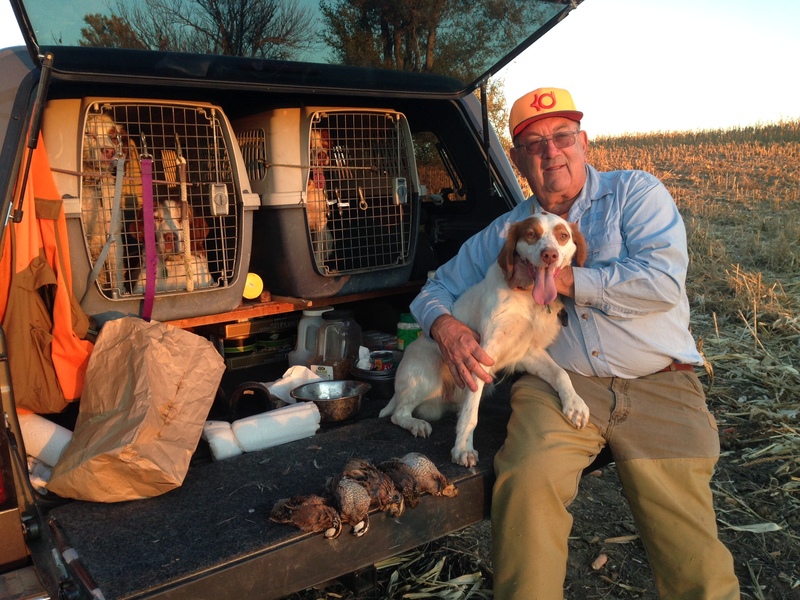 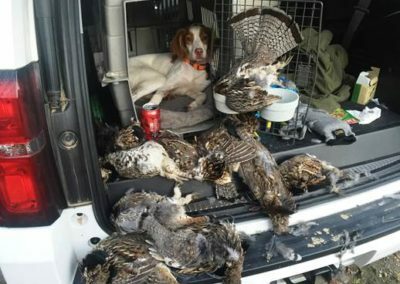 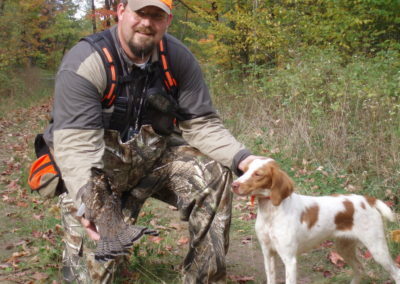 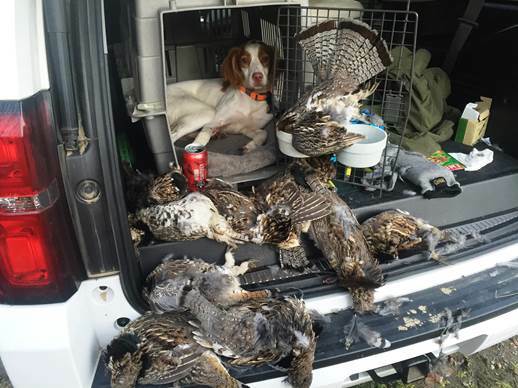 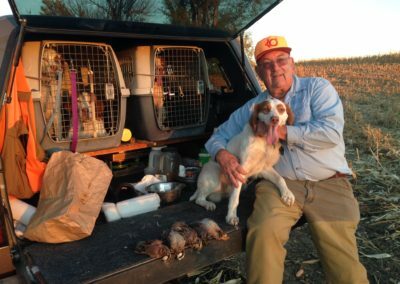 Breeding good bird dogs is an art requiring vision and knowledge as well as a little good luck. 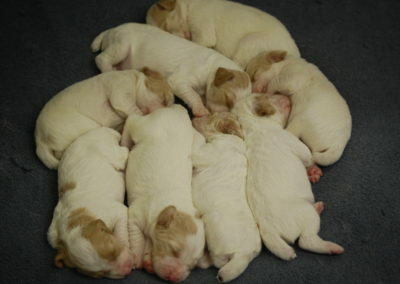 Anyone can breed a litter but few do it well. 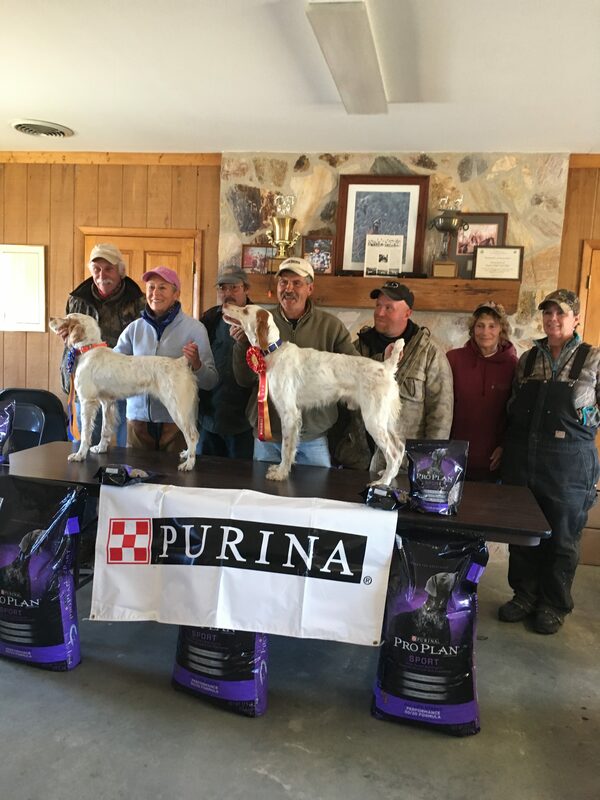 Piney Run Kennel strives to do it well. 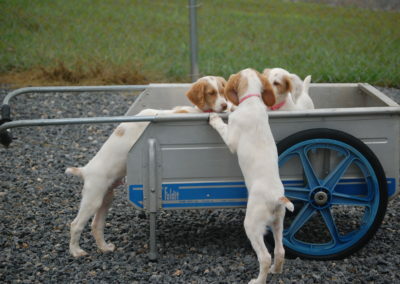 Our pups come from field trial lines and we average one to two litters a year. 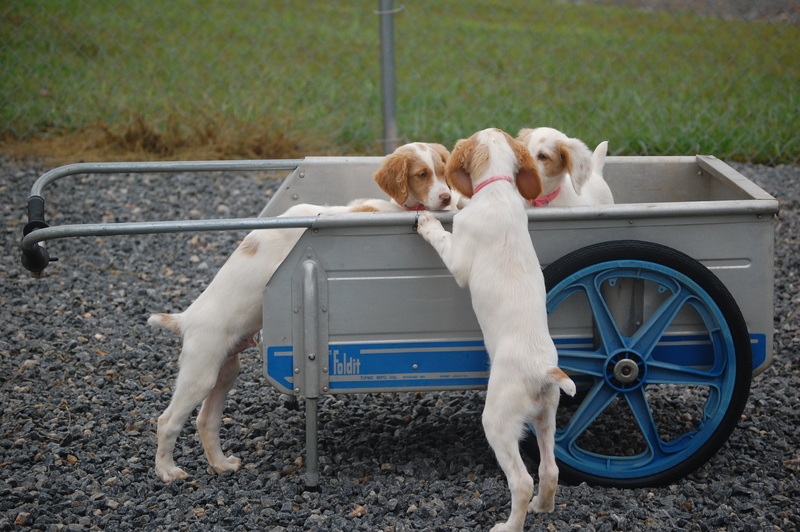 We try to keep at least one pup from each litter to start in training so we have hands-on knowledge of the pups we are producing. 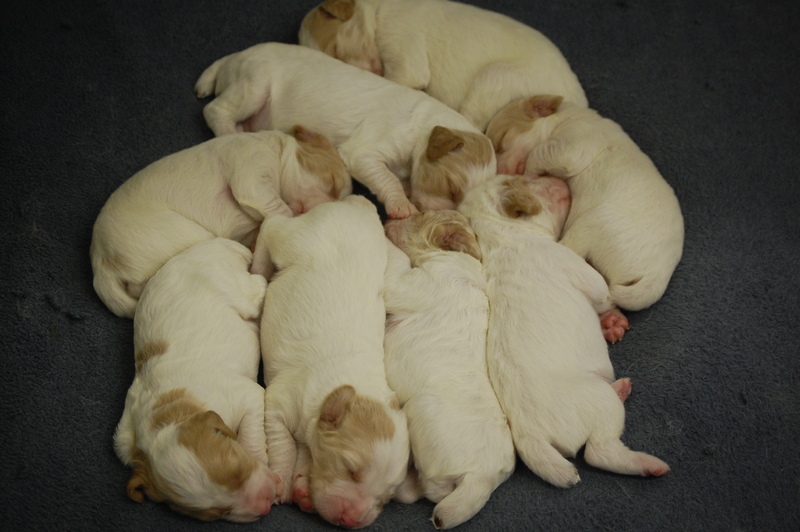 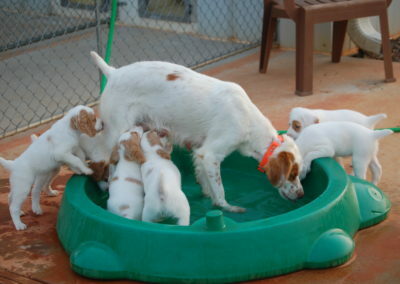 At this point, most of our litters go back three, four or five generations to dogs we have raised and trained. 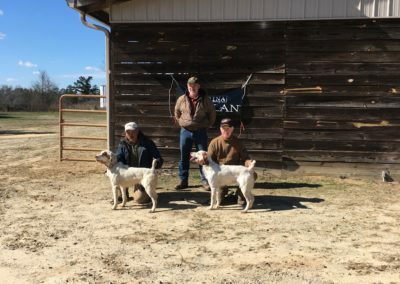 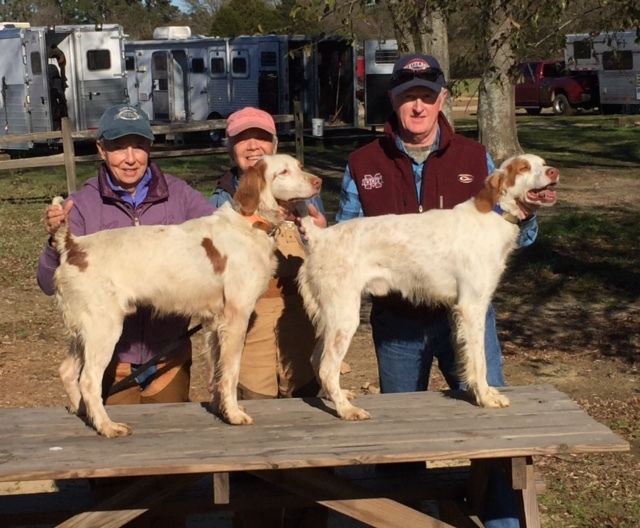 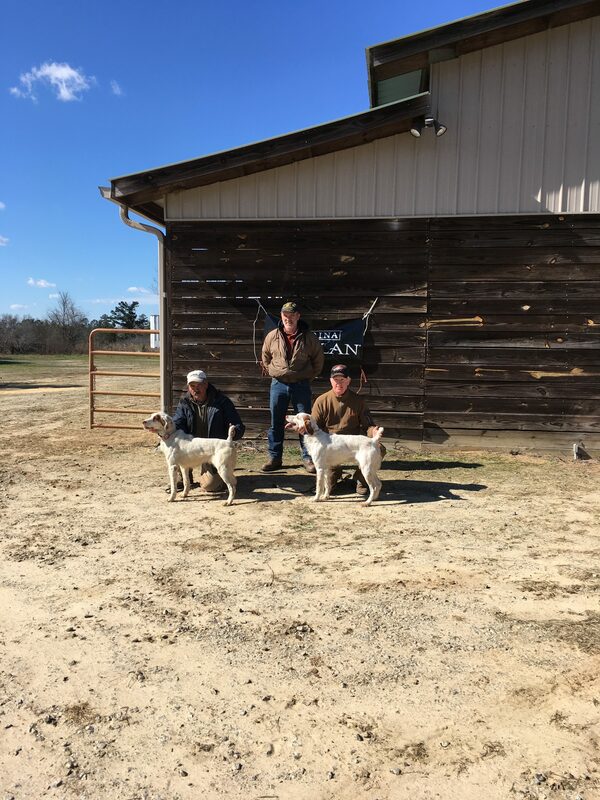 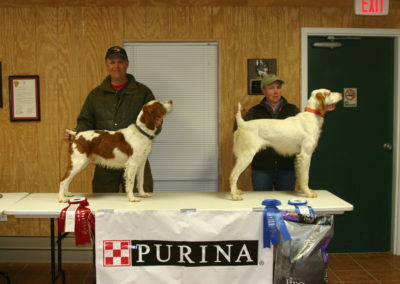 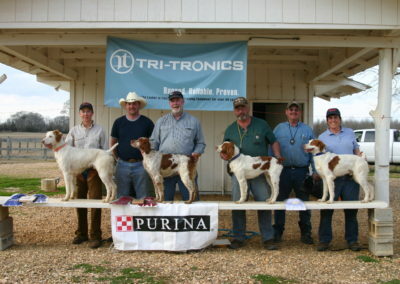 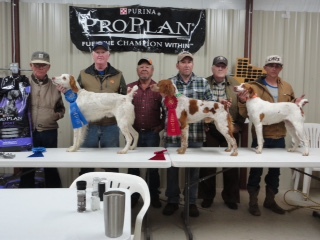 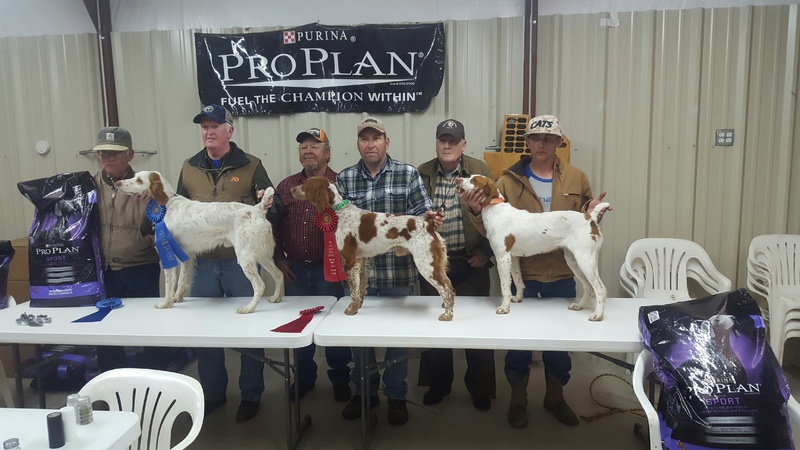 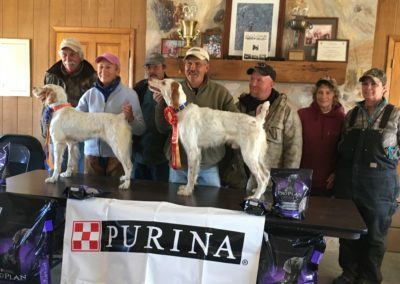 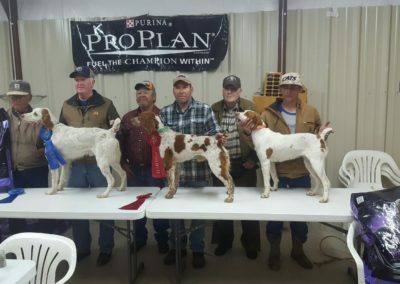 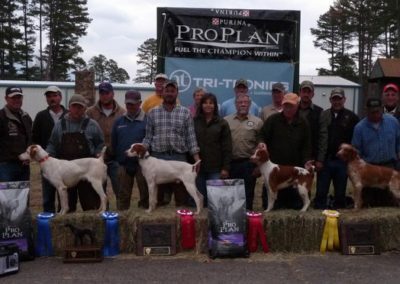 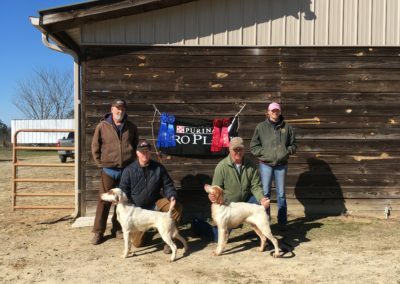 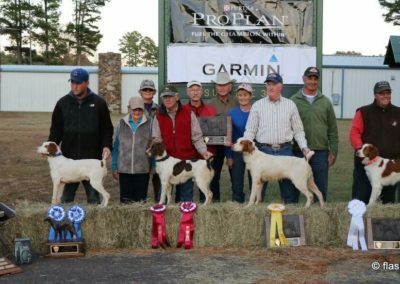 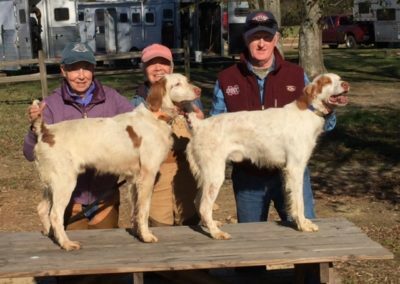 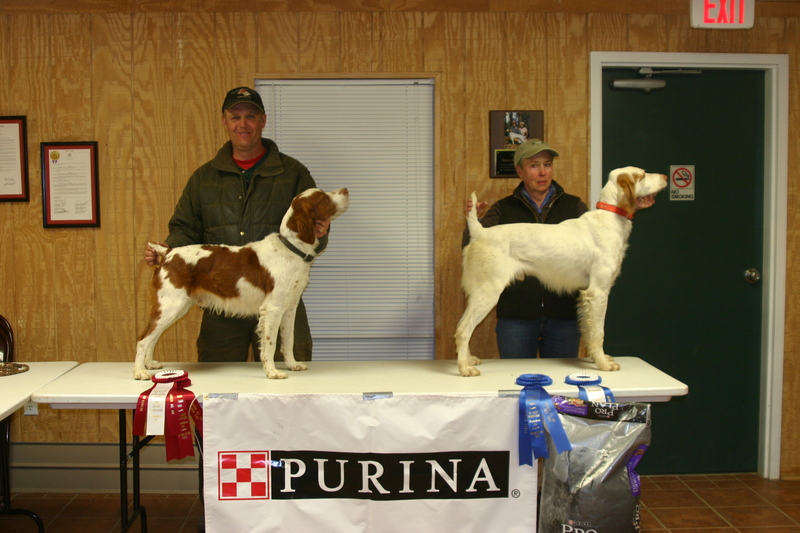 Our dogs have won and placed in all-age championships including the Brittany National Open and National Amateur Championships and one has won the 2018 Purina All Age Brittany of the Year Award. 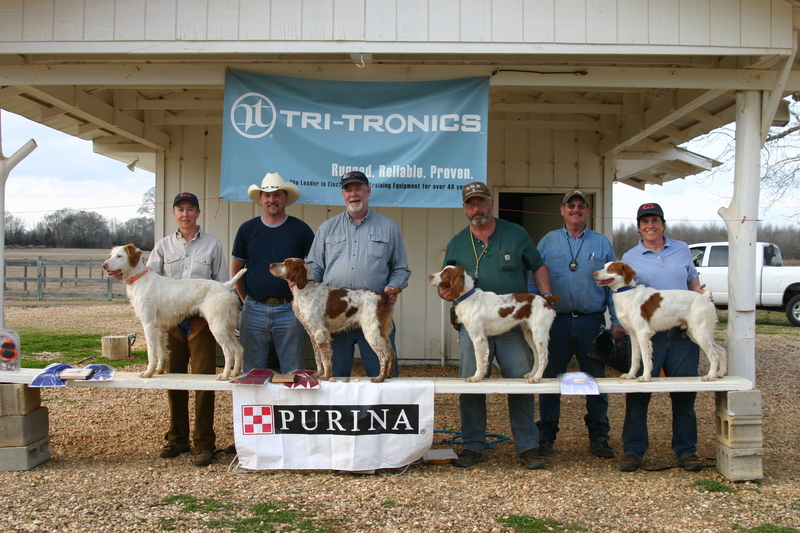 Some have won gun dog championships including the 2016 AKC Pointing Breed Gun Dog Championship and have placements in the Brittany National Open and Amateur Gun Dog Championships. 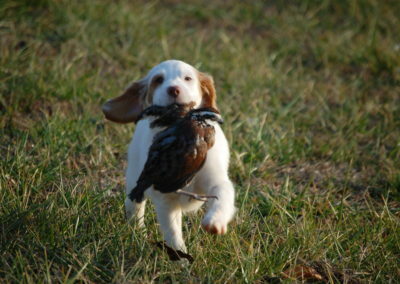 Others have made great hunting dogs for serious bird hunters. 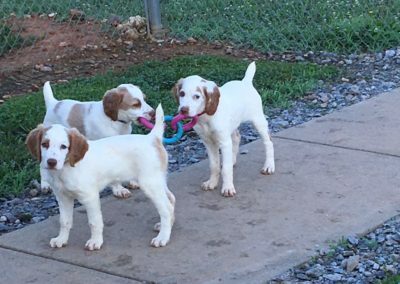 Our pups are $1000 and a $100 deposit is required. 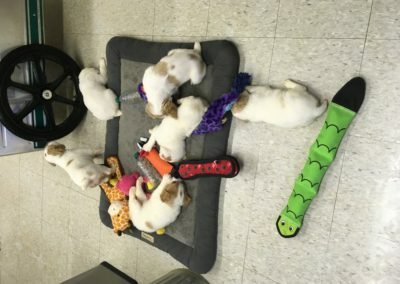 The deposit is refundable until pups are on the ground or if the female whelps and we do not have a pup for you. Our litters are AKC and FDSB registered and some are Futurity nominated. 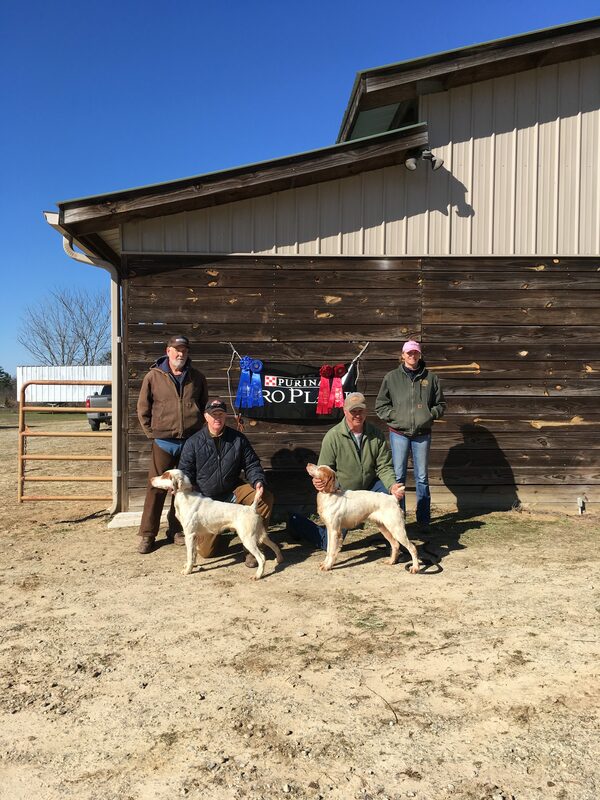 Health and OFA are guaranteed. 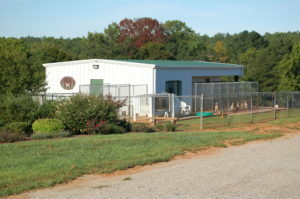 Please click here to read our guarantees. 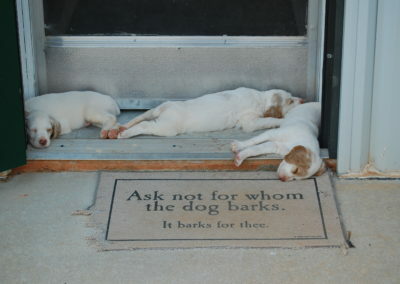 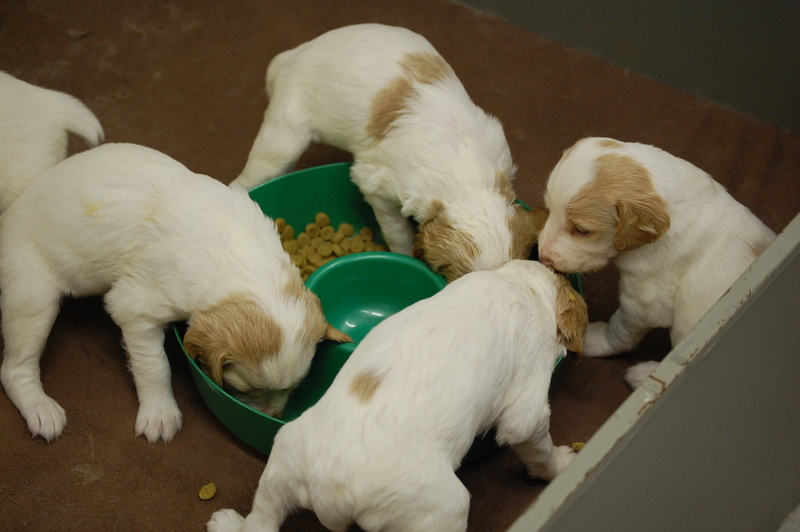 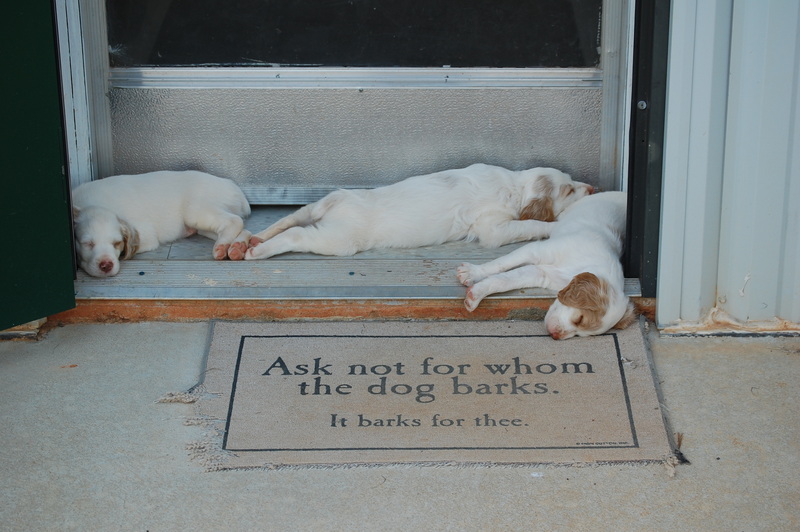 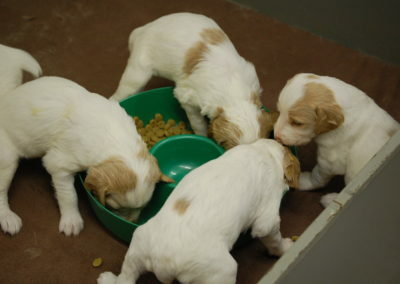 Pups do not leave our kennel until they are at least nine weeks old. 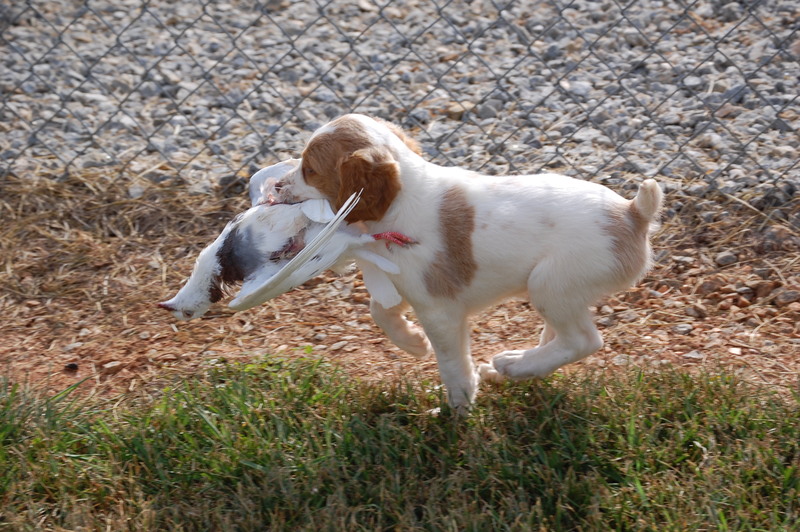 If your pup needs to be shipped, we will work with you to find the best way to transport him or her. 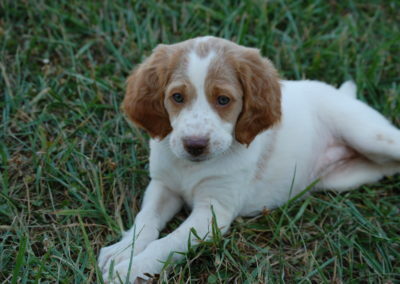 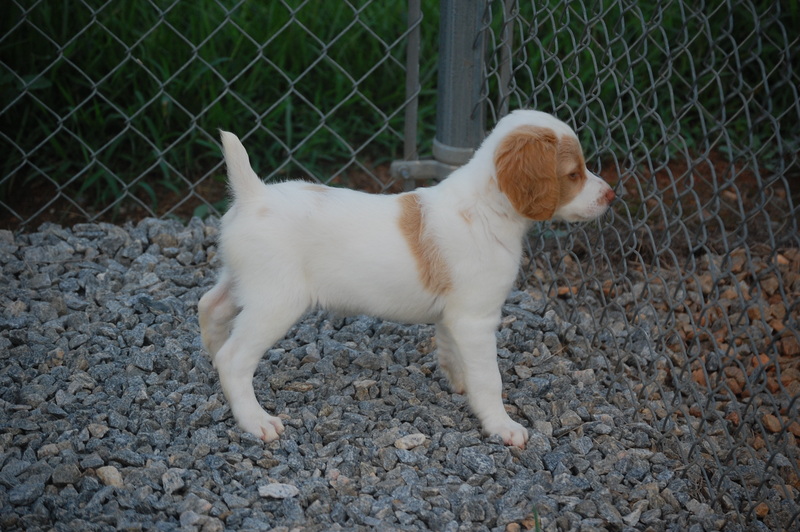 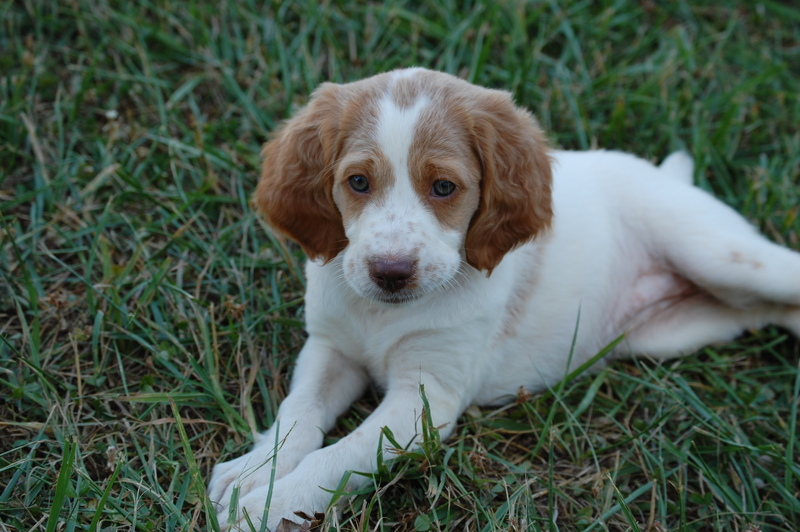 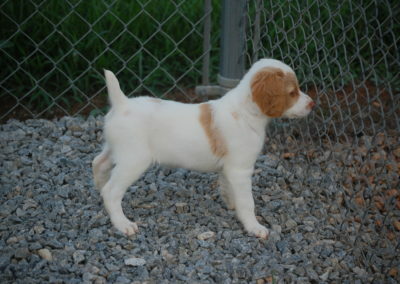 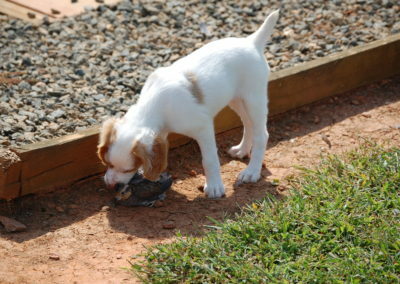 We fly pups out of Raleigh, NC, or can have them delivered to you by a commercial dog hauler. 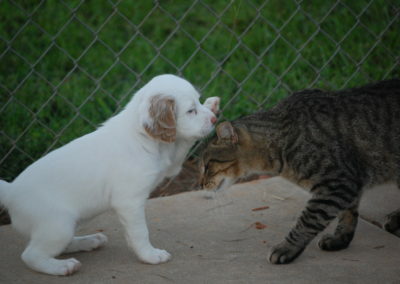 Your shipping expenses will average between $275 and $375. 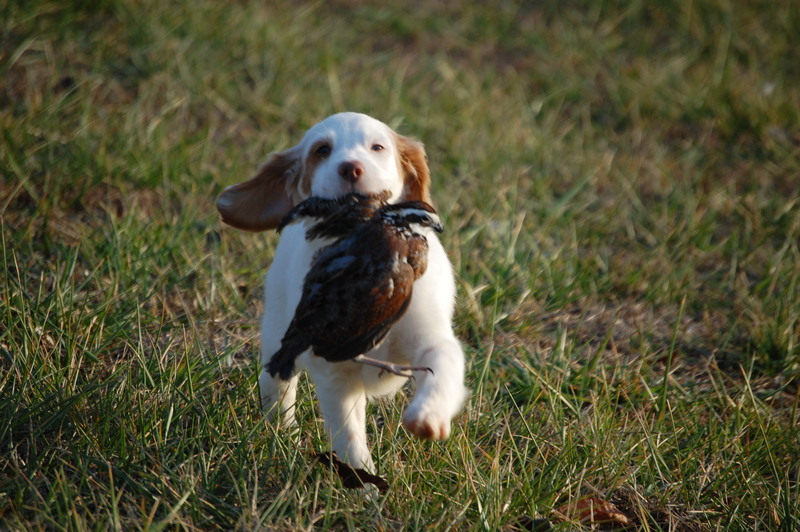 You will also be responsible for a health certificate and airline crate but we will work hard to keep your expenses down. 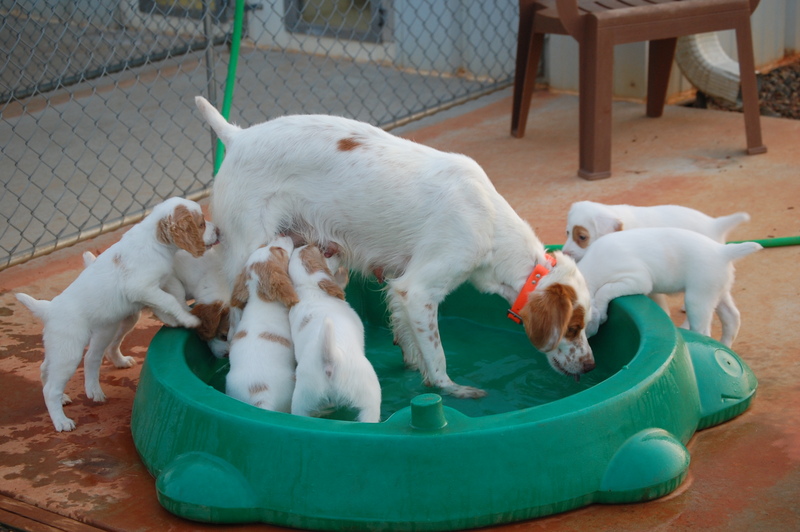 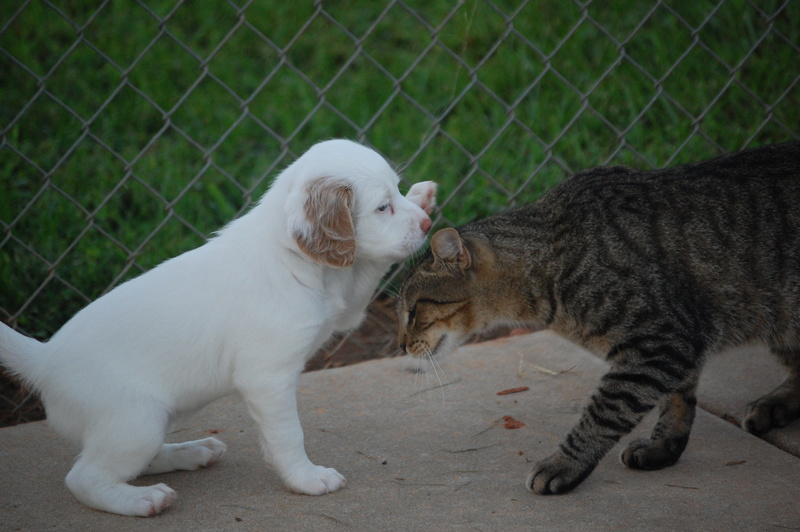 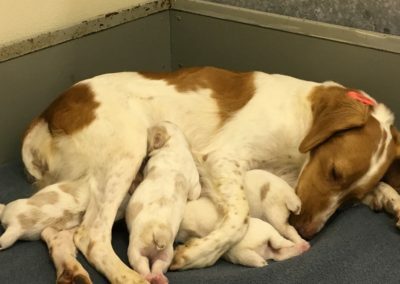 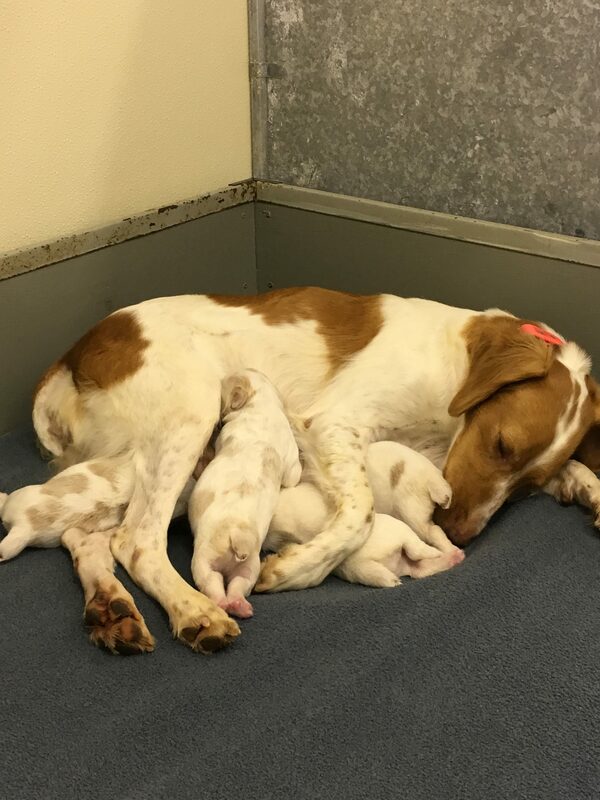 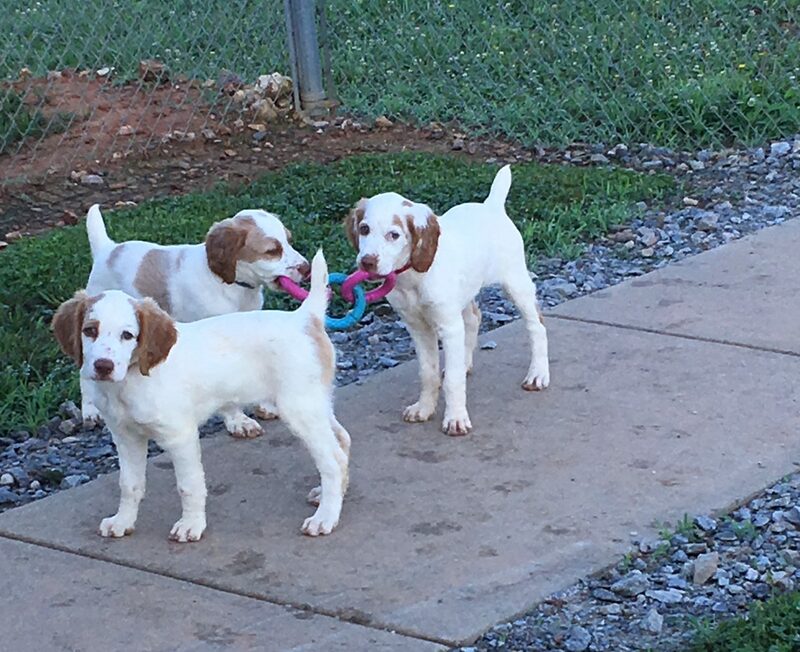 For information on specific litters, please contact Martha at mhgreenlee@gmail.com or call her at 434-774-2763.